It’s the first #tarottuesday of 2019! Err… it’s the first post anyway. We all gave ourselves a bit of a break over the holidays and we’re feeling refreshed and ready! Whatever the new year means to you, we hope it brings you health, happiness, love and lots of amazing books and tarot cards! We can help a little bit with all of those things! We hate to admit playing favourites, but all tarot enthusiasts have a particular card that has a personal spark. 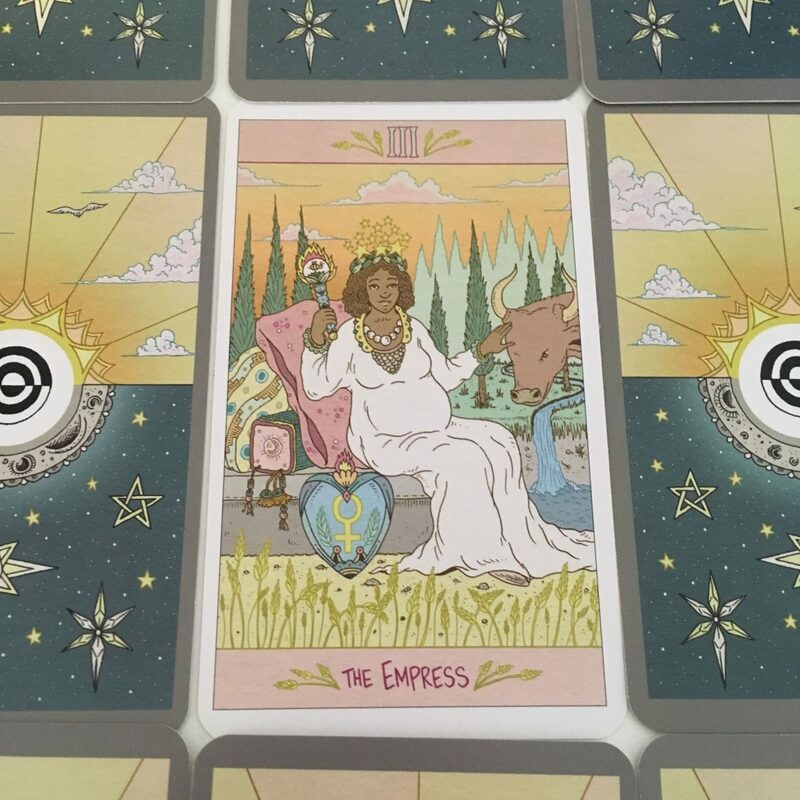 For me, it is the Empress (Mike‘s is The Hermit and Sarah‘s is the Ace of Swords, although Temperance calls out often!). Had you asked me when I was a younger reader, no doubt I would have chosen something wilder or stranger, but over the years the warmth and compassion of the Empress has melted resistance away. Now she stands apart. 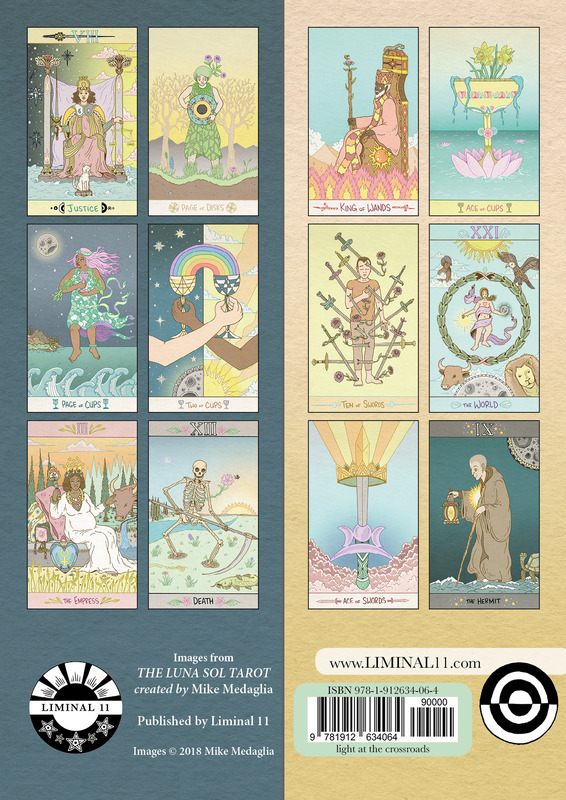 Those of you who have been exploring The Luna Sol Tarot have hopefully delved into our little booklet and come across the spread we created to accompany the deck. 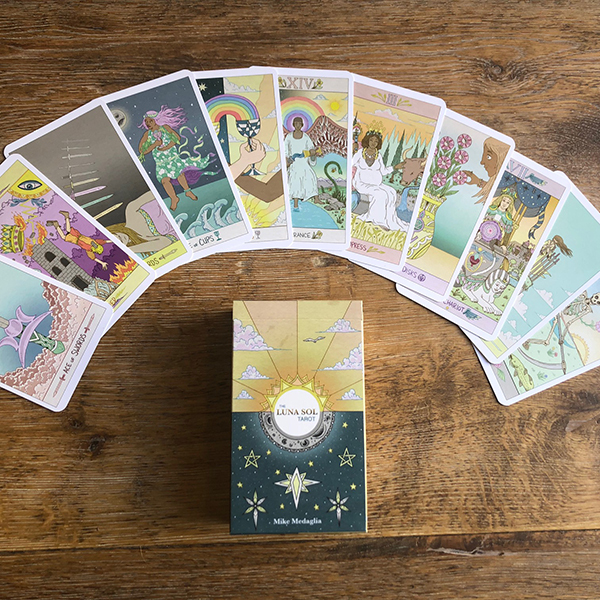 For those who haven’t gotten the deck yet, we wanted to give you a chance to try our custom spread with another deck that resonates with you. It’s been an amazing month for Liminal 11! Our first products were launched; we’ve got distribution in the UK, Europe and North America; we went to Thought Bubble, Mind Body Soul Experience and the UK Tarot Conference (with more to come! 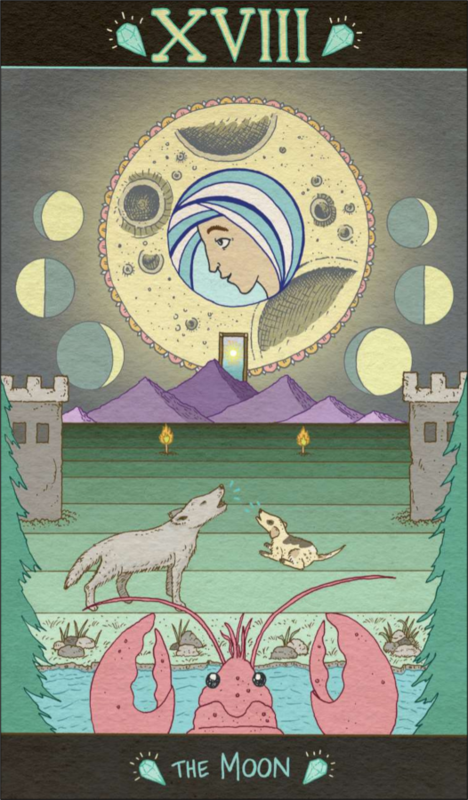 ); we’ve published three full chapters of the amazing Tales of the Tarot webcomic; and we’ve been getting a lot of really wonderful feedback on our publications! 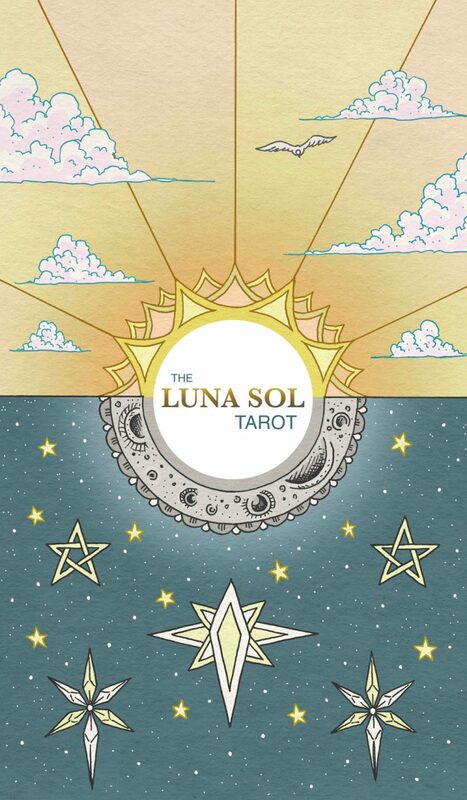 The Luna Sol Tarot has been especially popular, so we thought we’d thank the amazing reviewers and influencers who have shown us love by rounding up all of their kind words and coverage here! 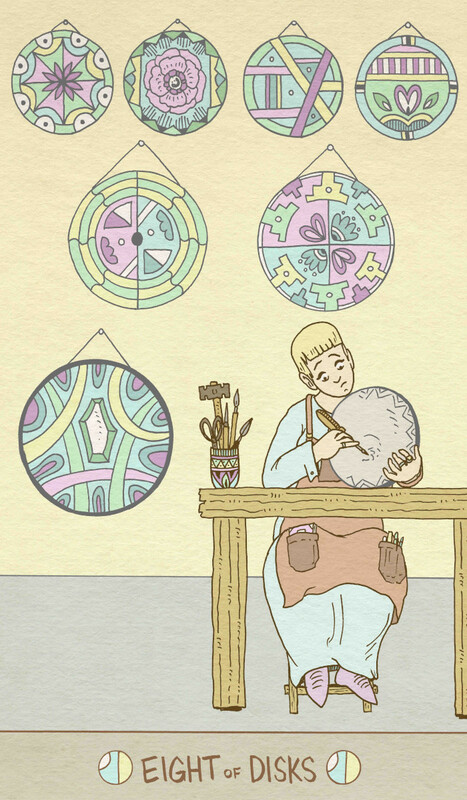 With the Sun in Virgo and The Luna Sol Tarot being delivered from the printers, what finer time to reflect on that busy Minor Arcana, the Eight of Disks. It’s strange how one of the most interesting Major Arcana cards (from a numerological perspective) arguably doesn’t have a number at all. Here is a Zero that could represent nothing but is the source of everything. It is the beginning and it is also the end. There is something weird that happens between the Aces and the Twos in the tarot. Aces always feel special. All that potential and pure essence of the suit gives them a presence that stands apart from the other cards. 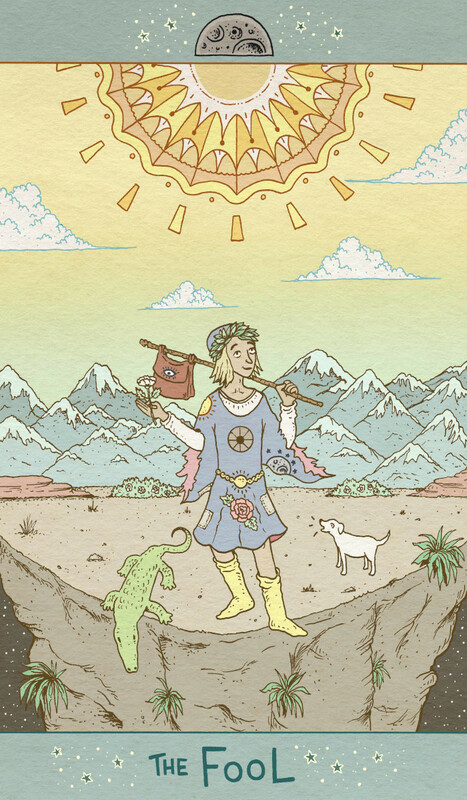 A 2019 calendar full of uplifting images from Mike Medaglia’s Luna Sol Tarot deck. 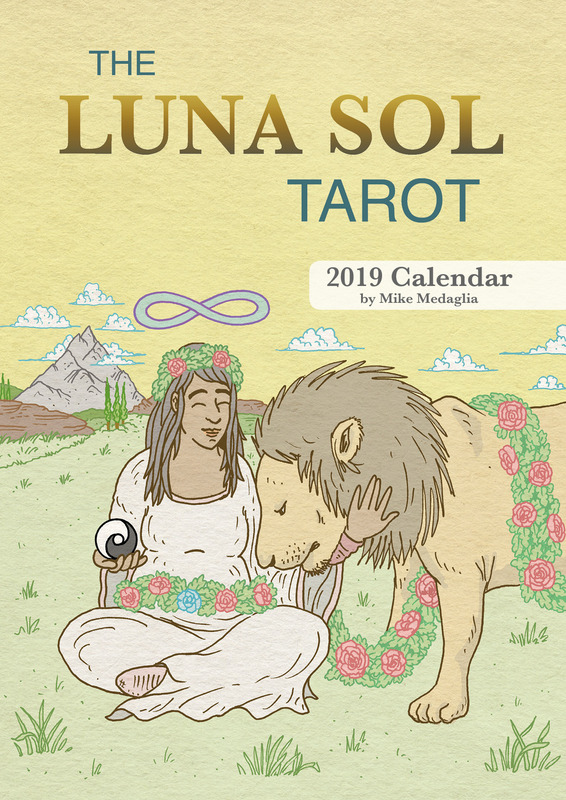 For fans of artist Mike Medaglia and his new Luna Sol Tarot deck, The Luna Sol Tarot 2019 Calendar lets you enjoy Mike’s gorgeous tarot artwork throughout every month of the year. 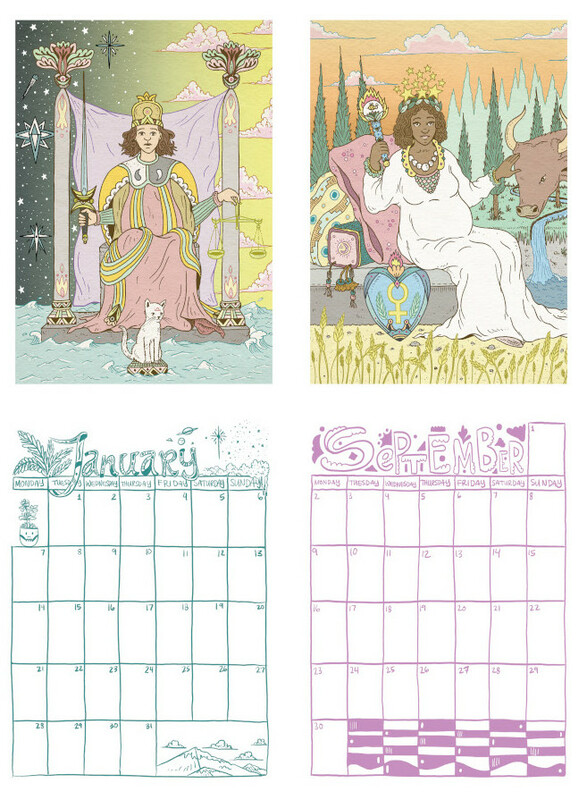 Includes lovely hand-drawn calendar grids! 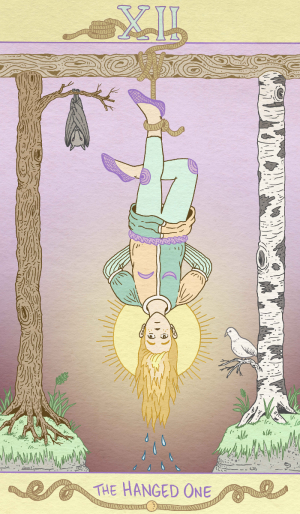 Want the tarot deck too? Click here! Mike Medaglia is the co-founder of Liminal 11. He is also author of the best-selling One Year Wiser series (SelfMadeHero), including a book of truly beautiful illustrated meditations, a colouring book, a gratitude journal and an illustrated guide to mindfulness. 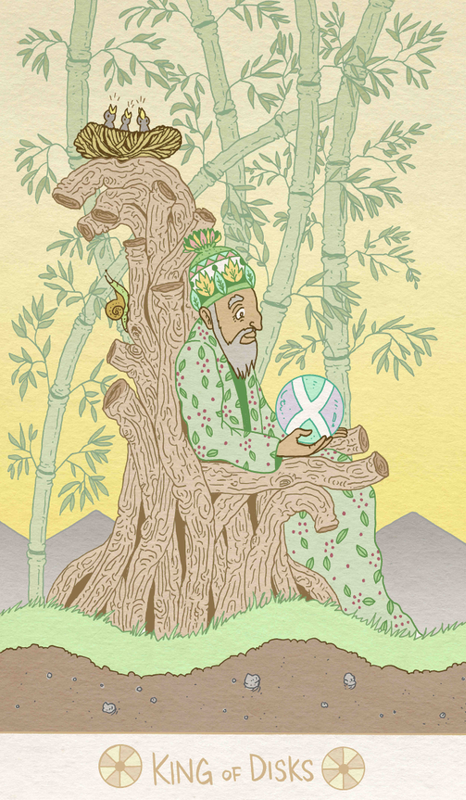 Mike has drawn and written for the Huffington Post on topics like gratitude, mindfulness, Zen and modern life. He was previously art editor at Jessica Kingsley Publishers working on a range of comics and graphic novels about topics like chronic pain, dementia, Asperger Syndrome, PTSD and anxiety. 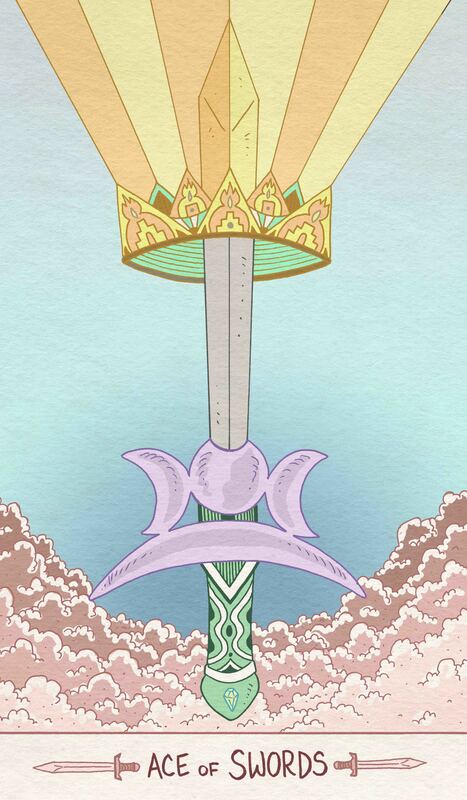 The Ace of Swords is a personal favourite of mine – one of those cards appeared in my earliest tarot readings, at exactly the moment I needed it to, and has appeared often since. It feels like something that’s connected to me at least for the moment. Frankly (and maybe a bit weirdly!) it feels like my card. It’s the first card I go looking for when I’m checking out a new deck. 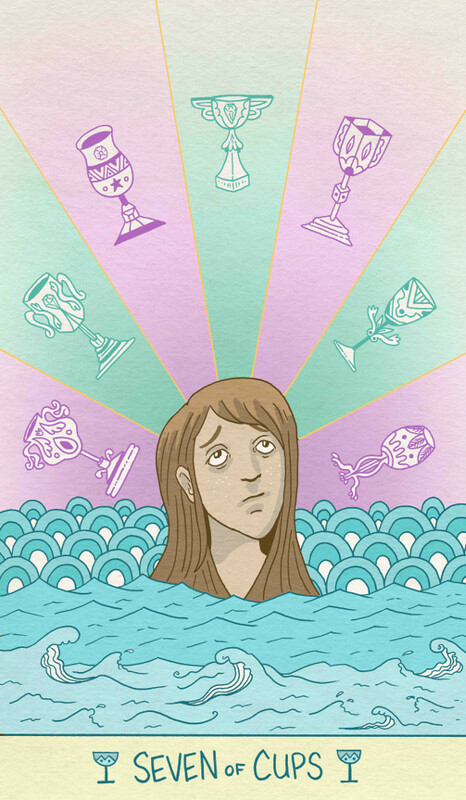 Usually identifying more with the watery emotions depicted by the cups suit (I am a Pisces, after all! ), it’s necessary to come up for air from time to time and get some clarity. 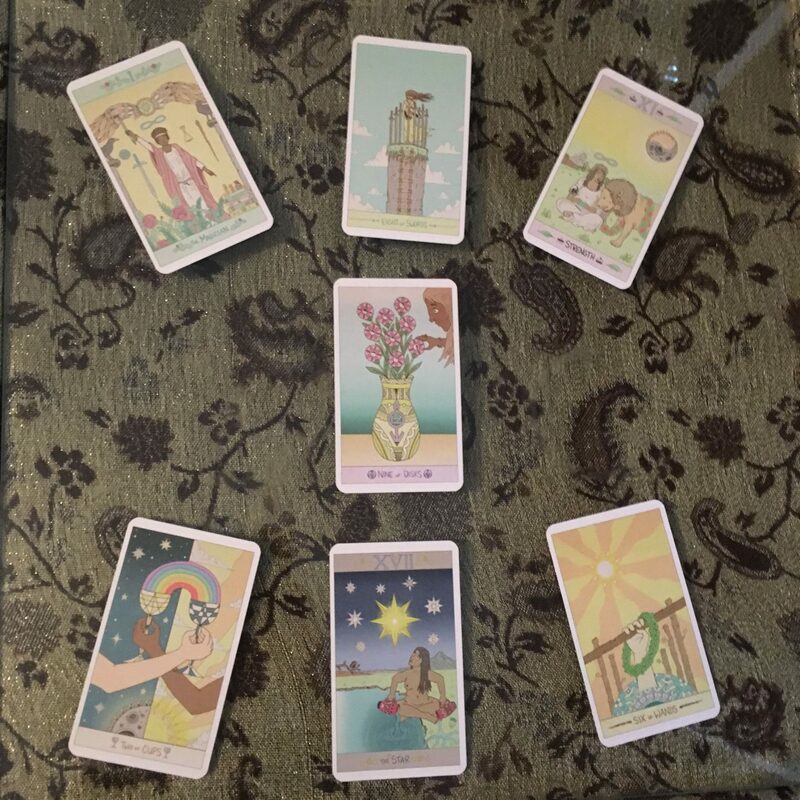 It certainly was for me on my 30th birthday, when I gave myself a reading while in a bit of a rut, and it has served as inspiration and reminder that, if I try, I can easily see what has to happen and, crucially, I already have all of the tools within me to set off on that path. 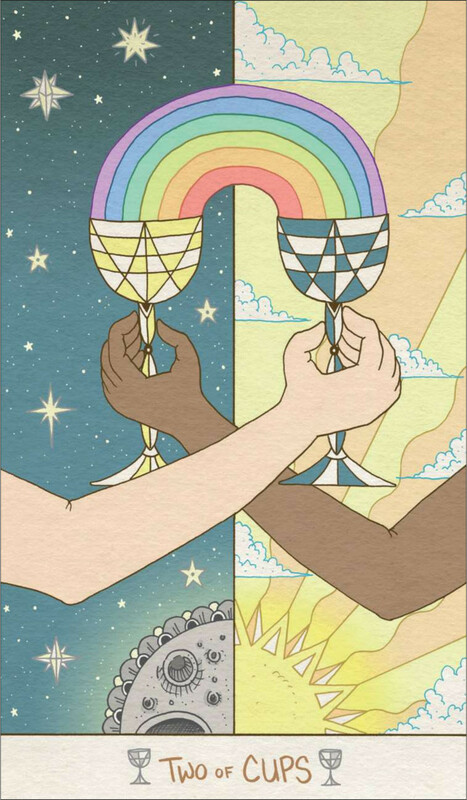 This week’s Tarot Tuesday reveal was the picture you will see most frequently in Mike Medaglia’s The Luna Sol Tarot – the reverse of the card. 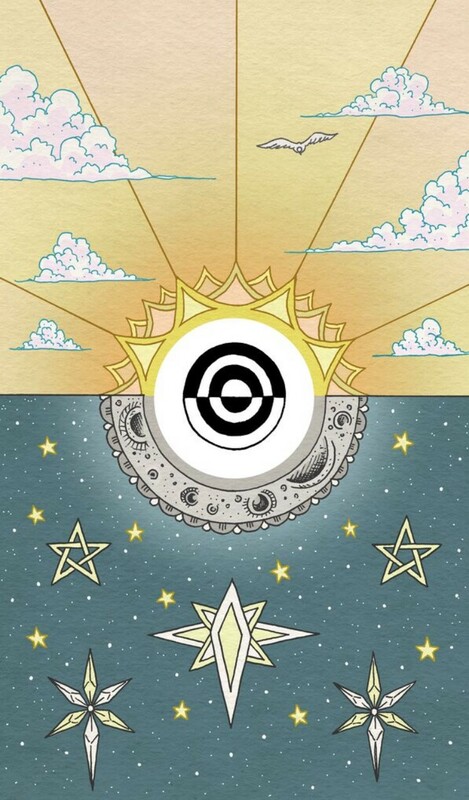 This truly gorgeous image is largely self-explanatory; the glowing half-moon (Luna) beneath the blazing sun (Sol). But what may be less clear is the central symbol of black and white concentric lines. This it’s this element I will focus on here. 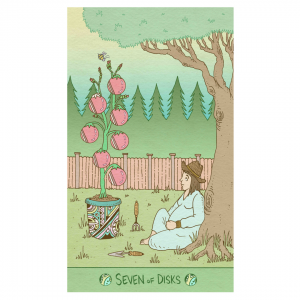 Amidst the height of summer, when we slow through necessity and often enjoy a break from toil, what finer card to reflect on than the 7 of Disks? Those fruitful Disks and gardening tools suggest that this respite did not happen by chance, some work and a little planning probably brought you to this stage of achievement. The card suggests you should take stock of this moment; be present and look around. If we constantly move from task to task where is the reward in life or, perhaps, when do we get a chance to be grateful for those rewards. There is a myth that is often repeated when discussing The Hanged One, and that is Odin’s suffering upon Yggdrasil, a giant ash tree known as the World Tree. 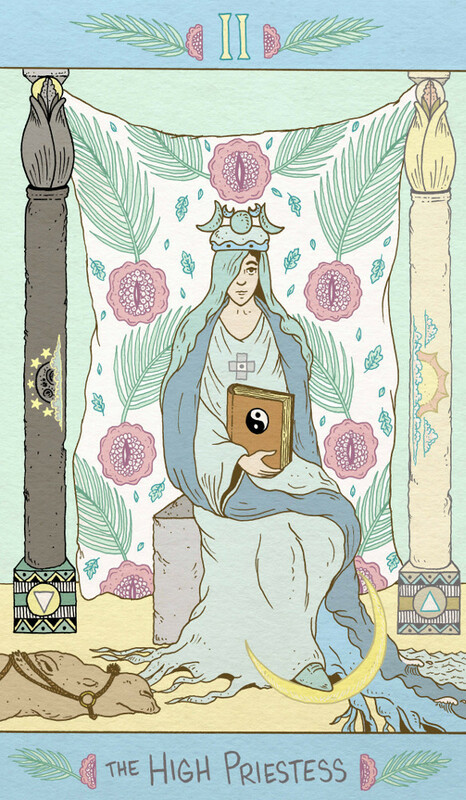 At the time of writing this, I have been completely done the artwork for the Luna Sol Tarot for about a month. I feel just enough recovered from the emotional labour to begin to reflect on the process! 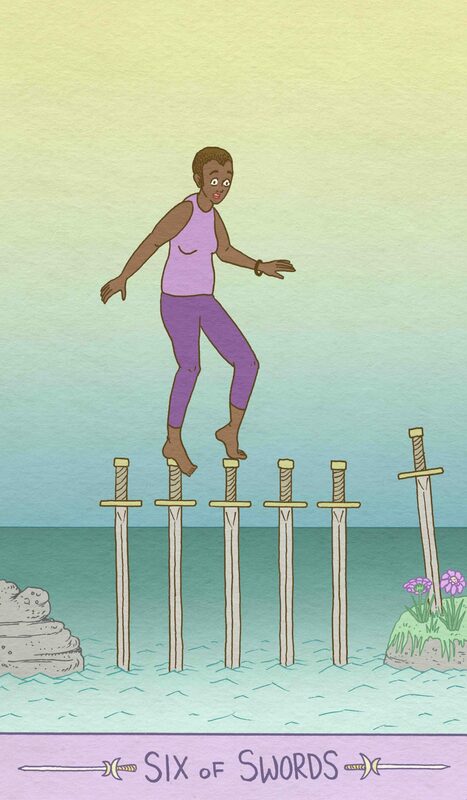 The suit of Swords is not always looked on kindly by tarot readers. Maybe this is repaying the favour, as Swords represent the element of air, the realm of the intellect, and as such can at times be emotionally cold, perhaps even verging on the cruel. And maybe we feel a little bias when borrowing the Eastern concept that the intellectual mind is something to be overcome in our spiritual development (which is strange when you are told the Ace of Swords is probably the most spiritual of all four Aces). Either way, it is not uncommon for a reader to occasionally wince as if sliced by the card when a Sword appears. It comes as no surprise to anyone that the tarot contains a few apparently dark themes. Pop culture often focuses on cards like Death, The Devil and The Hanged Man; maybe that’s because, unfortunately, nothing sells like bad news*. And if you’re of an older generation, maybe you get an unsettling Tales of The Unexpected or Live and Let Die vibe (if a gif exists of Roger Moore looking weird when Solitaire reveals The Lovers, please no-one send it to me). It might not be until your first proper look that you see the cards that fizz with joy, like The Sun, 10 of cups or The Aces. Of course, if the tarot is going to reflect life, then it needs to cover the full spectrum of our experiences, both difficult and wonderful.